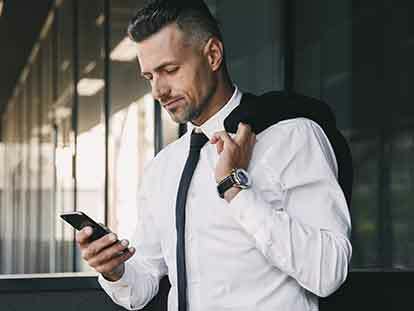 Whether the occasion demands formal shirts, business wear shirts, casual shirts or custom made evening wear shirts, Virtuvien makes choosing the perfect made to measure shirt a breeze. After all, certain situations demand the best clothing, which of course means clothing that is tailored to your exact specifications - we're talking weddings, graduations, first dates and reunions, along with proms, promotion parties and religious ceremonies. Your Luxurious Look: Nothing says luxury like a tailor made wedding shirt, complete with a tall spread collar and French cuffs, crafted from the finest Egyptian Giza Cotton, paired with your choice of business suit or tuxedo. Complete your look with a pair of cuff links and a matching pocket watch. 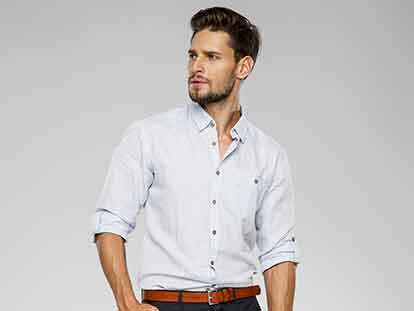 Stand Out From The Crowd: Show off your confidence at casual occasions in an eye-catching dress shirt crafted from pure, touchable linen in your choice of solids, stripes or prints. Let them know your shirt is yours alone with a subtle tone-on-tone monogram placed just above your watch - it's the ideal way to find out who's paying attention to you! For New Designs, Collections and Styling tips!